Bristol duo Run Logan Run are a head on collision of pounding tribal drums and screaming guttural saxophone. Formed through a shared passion for improvisation, spiritual jazz and heavier experimental music, the duo has been authoring their own narrative in the new wave of crossover jazz, whilst touring the UK extensively, sharing stages with the likes of Colin Stetson, Melt Yourself Down, Shabaka Hutchings, Sarathy Korwar and Hieroglyphic Being. Now, having released an EP, live cassette and limited-edition lathe cut 7”, they are set to release their debut album ‘The Delicate Balance Of Terror’. Their set-up is seemingly straightforward, composed of a drum kit and saxophone, ran through a modest collection of carefully selected effects pedals before being fed into guitar and bass amps simultaneously. However, the result is two musicians who are constantly finding new ways to push the boundaries of the duo format, whilst instilling originality at every opportunity. 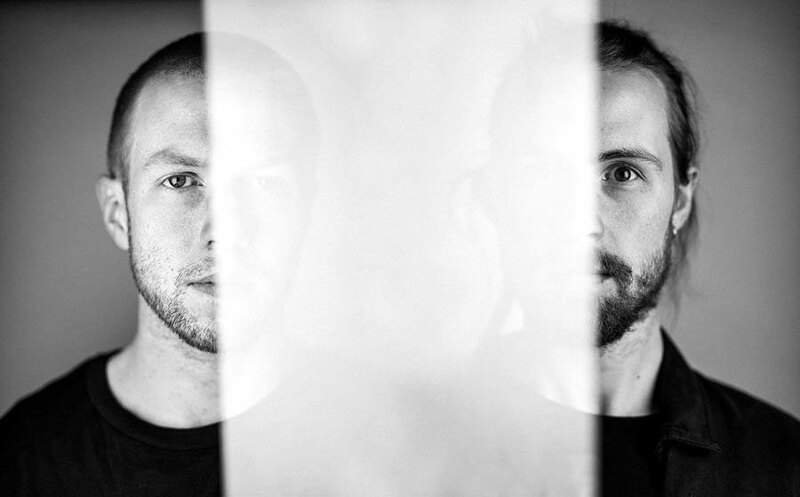 Run Logan Run’s influences are greatly varied across the new album, to the point that tracing the origin of the duo’s overall sound is futile. At any one time ‘The Delicate Balance Of Terror’ can call to mind the likes of Pharoah Sanders, Can, Lightning Bolt, Sun Ra, Polar Bear, Boris, The Comet Is Coming and even A.R.E Project. However, despite the familiarity that resonates from their multifarious inspirations, their sound remains entirely inimitable. Architects of intense contrast the duo’s diverse and precise instrumentation regularly flirts with fragility and raw power. ‘The Delicate Balance Of Terror’ is filled with contemplative deep jazz moments lodged in cyclic hypnotic trances, which are pushed to their very limits by ruthless drum sections. Elsewhere, the saxophone takes an altogether more audacious approach with a carpet bomb of FX driven monolithic slabs of bass, employing circular breathing, heavy delay and pitch shifting. Strewn throughout this are junctures of attenuation where they play with fragmented rhythms, and smatterings of delicate free jazz melodies. The new album was recorded live at Stoke Newington’s Total Refreshment Centre, which has been, and continues to be, a prominent platform for promoting, recording and releasing some of the best new talent from the British underground. It was also produced by the estimable Danalogue & Betamax of The Comet Is Coming, instilling further idiosyncratic dynamics into Run Logan Run’s already distinctive sound. Future-facing and fascinating, Run Logan Run are fast becoming a solid feature in the UK’s rising jazz firmament. Having already played a number shows this year supporting the likes of Yazz Ahmed and Thought Forms, Run Logan Run will also be embarking on another full UK tour in spring 2018.